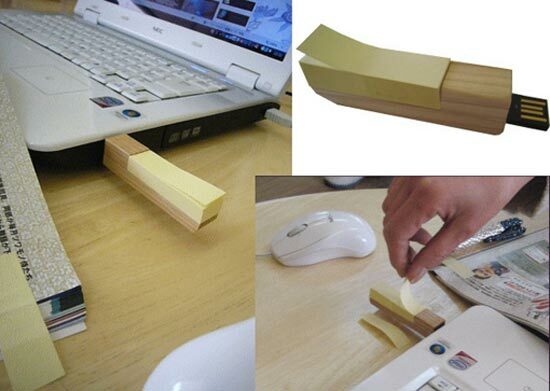 We have seen lots of combo USB gadgets here at geeky gadgets, the latest is this fun wooden USB drive with a built in Post It note dispenser. As well as being able to store all your data, it also has built in mini Post It notes, and can store up to 100 mini Post It’s. It measures 50 x 15mm and comes with 2GB of storage, if you want one they are available for $49.99 from Gizmine.